Product prices and availability are accurate as of 2019-04-21 12:06:04 UTC and are subject to change. Any price and availability information displayed on http://www.amazon.com/ at the time of purchase will apply to the purchase of this product. 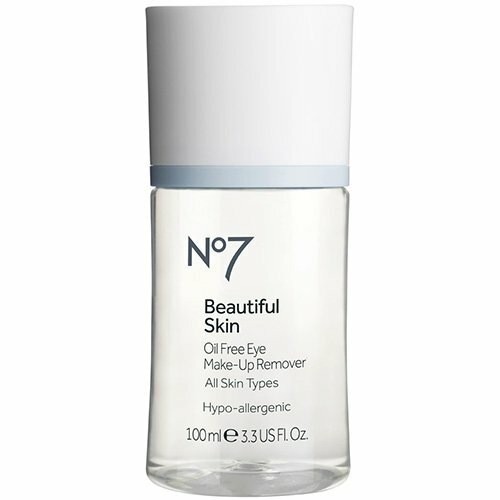 Eliminate even the most stubborn traces of eye makeup with the Beautiful Skin Oil-Free Eye Makeup Remover from No7. The hypoallergenic formula moisturizes skin for a smooth, refreshing feel after cleaning, while healthy antioxidants protect the skin from irritation, stinging and premature aging. Keep the skin around your eyes healthy and fresh with this gentle and effective makeup remover.